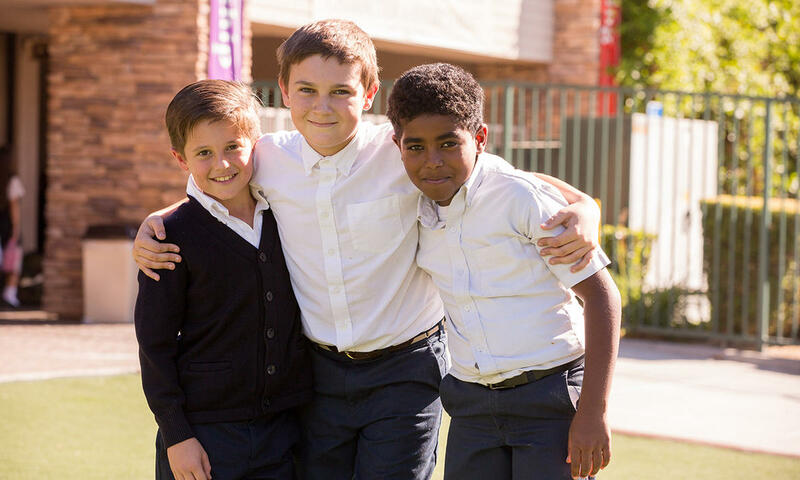 Located for over 50 years in Orange County and over 20 years in the city of Yorba Linda, Heritage Oak Private School serves students in preschool through middle school. 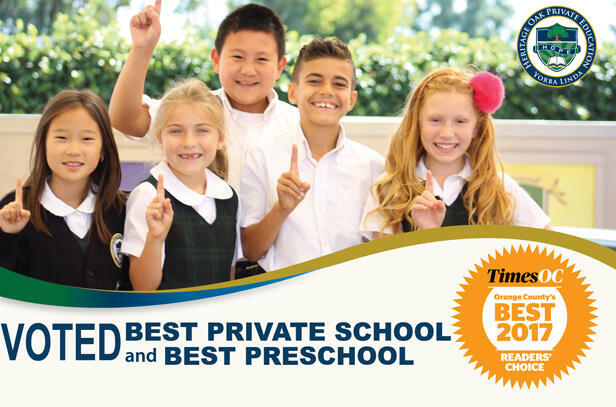 Accredited by NIPSA, Heritage Oak is a nationally recognized Blue Ribbon School and was named the Readers’ Choice Best Single Location Private School and Best Preschool in Orange County by Parenting OC Magazine in 2018 and Best Private School along with Best Preschool by Times OC in 2017. Camp Heritage Oak Registration is NOW OPEN! Please visit the "Camp" link above to learn more about what we offer. We will also be holding a Summer Camp Open House on Saturday, May 4th from 10am-noon. Click Here to RSVP! Heritage Oak First Grade--from Academics to Apple Sauce! Heritage Oak began in 1966 as a small preschool. Today, over 50 years later, it is still managed by the same family with the same goal--to provide the foundation for preschool through middle school students to demonstrate distinction in academics, leadership and fitness of mind, body and spirit. Learn about our advanced academic programs, expansive campus, and focus on character, etiquette, the arts, and athletics.